President Donald Trump on Friday amped up the mystery surrounding his wife Melania's recent hospitalization for a kidney condition, revealing that she had had a "big operation" that lasted close to four hours but is "doing great." Trump said he was attending meetings in Canada and Singapore alone because the first lady is under doctors' orders not to fly for a month. "First lady's great. Right there," Trump said, pointing up to the White House from the driveway as he departed for Quebec. "And she wanted to go. Can't fly for one month, the doctors say. She had a big operation. That was a close to a four-hour operation. And she's doing great. Right there." "She is a great first lady," Trump added. 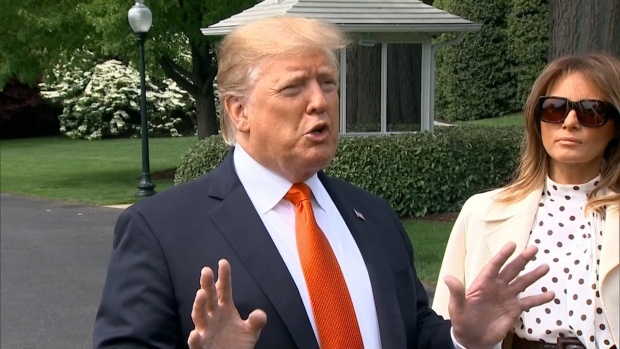 Trump's comments only deepened the mystery surrounding his wife's hospitalization in mid-May and her weeks-long absence from the public eye. The first lady's office announced May 14 that she underwent an embolization procedure to treat a kidney condition described as benign. She spent five nights at Walter Reed National Military Medical Center outside Washington and returned to the White House on May 19 to continue her recuperation. Stephanie Grisham, a spokeswoman, has declined to provide additional details, citing the first lady's right to medical privacy. "The statement I put out on May 14 was correct," Grisham said Friday in an email. "Mrs. Trump had a successful embolization procedure. She cannot travel internationally yet, and is doing great." Doctors not involved in Mrs. Trump's care but familiar with the procedure said embolization most likely was used to remove a type of noncancerous kidney tumor called an angiomylipoma. Embolization is a minimally invasive procedure in which doctors snake a catheter into blood vessels of the kidney to find the right one that is feeding the tumor so they can block the flow of blood to the growth. Dr. Lambros Stamatakis of MedStar Washington Hospital Center said embolization can take hours because of the time needed to find the right blood vessel. Trump's four-hour estimate could cover when his wife was wheeled off to receive anesthesia and time in the recovery room after she came to, Stamatakis said. 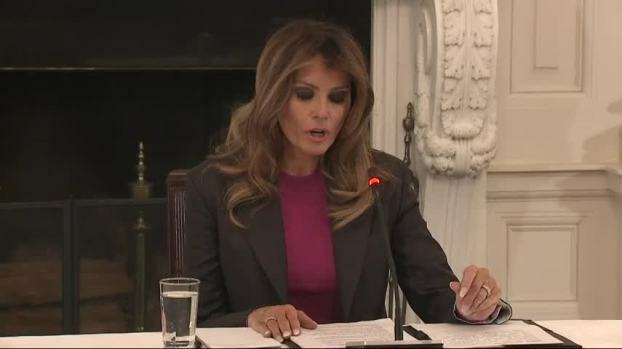 Pushing back against her critics, first lady Melania Trump said she's committed to fighting cyberbullying despite skepticism. Her husband, President Donald Trump, routinely uses Twitter as an outlet for berating public figures he dislikes. 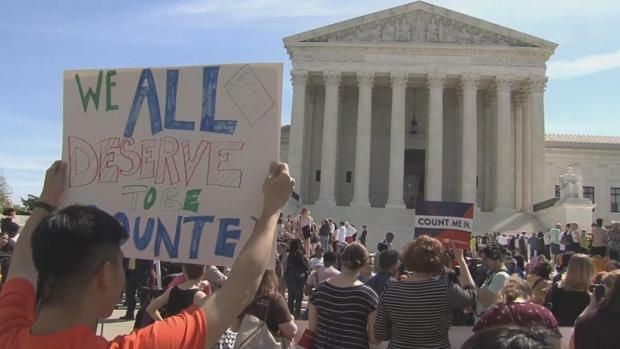 He said a procedure that can last a couple of hours on a "normal" patient could run longer on a VIP patient because doctors "may take a couple extra hours to make sure everything is as perfect as it possibly can be." Stamatakis added that five days in the hospital may have been because the first lady was in a government hospital. "The issue about flying, that is completely and utterly arbitrary," he said. Typically doctors might want a patient to stay nearby, rather than taking a far-away trip, in case they need follow-up care. But he said there's seldom a reason for a patient to avoid flying if the patient has left the hospital with no problems. Grisham's initial statement described the embolization as successful and said there were no complications. 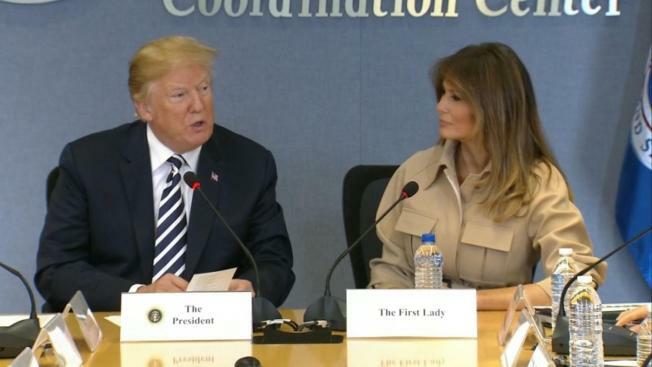 She later said medical professionals who have been discussing the first lady's case with journalists are "uninformed." "Mrs. Trump has a medical team that is comfortable with her care, which is all that matters," Grisham said. 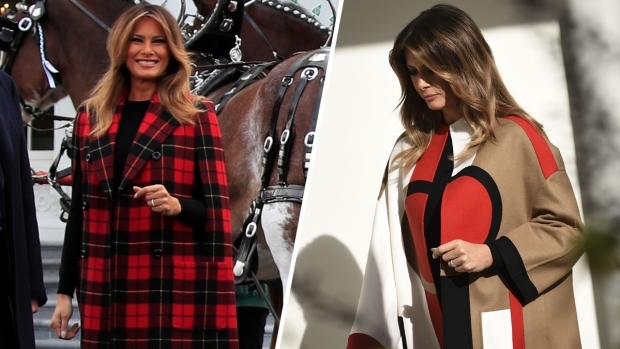 The first lady's weeks-long absence from public view began soon after she unveiled her initiative to teach kindness to children, sparking all sorts of theories about where she was, including that she had packed her bags and moved back to the family's Trump Tower penthouse in New York. The seemingly unending speculation about her whereabouts appeared to irritate Trump and his wife. Both vented about it on Twitter. "I see the media is working overtime speculating where I am & what I'm doing," the first lady tweeted last week. "Rest assured, I'm here at the @WhiteHouse w my family, feeling great, & working hard on behalf of children & the American people!" "The Fake News Media has been so unfair, and vicious, to my wife and our great First Lady, Melania," he tweeted this week. "During her recovery from surgery they reported everything from near death, to facelift, to left the W.H. (and me) for N.Y. or Virginia, to abuse. All Fake, she is doing really well!" The first lady ended some of the speculation this week when she made her first appearances in nearly a month. Video posted on social media showed her and the president at a private White House reception for military families on Monday. She appeared before news cameras on Wednesday when she joined the president for a visit to Federal Emergency Management Agency headquarters in Washington. Before this week, Mrs. Trump was last seen in public on May 10, helping Trump welcome home three Americans released from detention in North Korea.